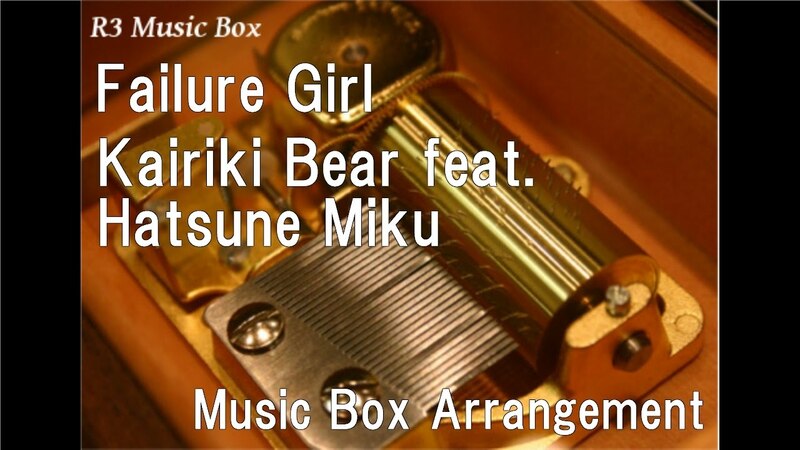 R3 Music Box has been uploading a music box version of the song from Japan. Enjoy the healing music box sound. In addition to this, I’m uploading japanese song, anime song, and game music etc.. I will upload videos at everyday 12:00AM in Japan Time. * Please send song request from the request form on R3 Music Box’s homepage ( http://r3-music-box.com/en/request/ ), not on YouTube comment. * R3 Music Box is not correspond to making of the whole song. * If you would like to use R3 Music Box’s sound as BGM in YouTube video, my permission is not required. In that case, please display the credit to R3 Music Box on video or description. If you would like to use other than YouTube, please contact composer or the music copyright collective. * This music box is not for sale. Because it is the music box sound was made using MIDI. * Can not provide the score or MIDI data of this music box. * Do not copy or upload this sound source. I don't care how edgy this song is, I will always love it.